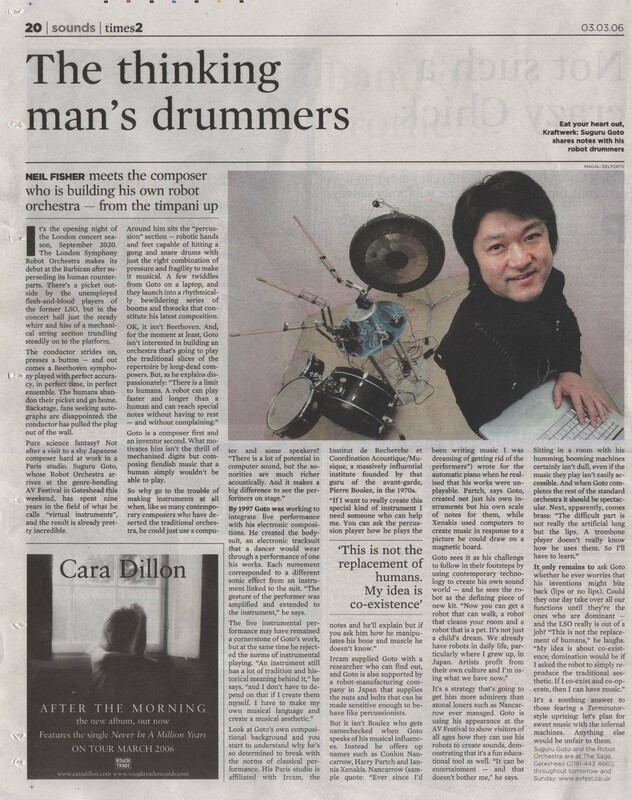 Suguru Goto is a Japanese composer and multi-media artist. This was the UK premiere of his work. 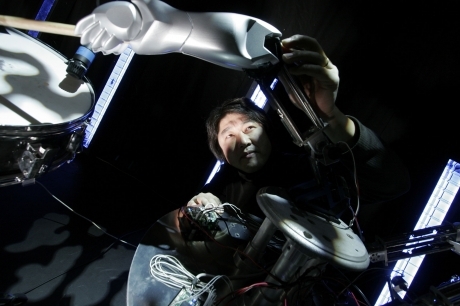 Goto is gradually constructing a performing orchestra of virtual robotic instrumentalists. RoboticMusic is an ensemble of five percussion robots: a gong, bass drum, tom-toms, snare drum with cymbal and a pipe. 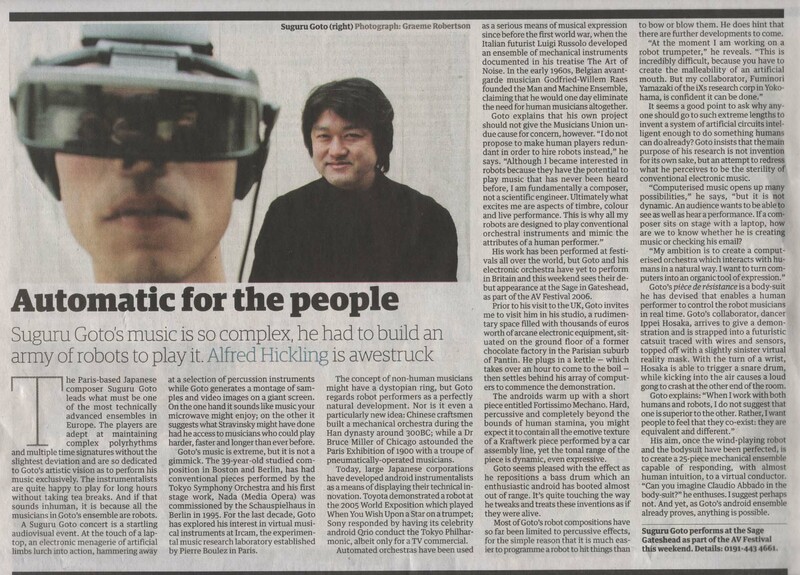 As Goto explains: “Music we have never heard can be played by robots. Robots can play very complex rhythms at the same time and perform at different tempos, beyond the capability of humans. Without the constraints of biology, robots can also play without rest around 30 times faster than humans”. 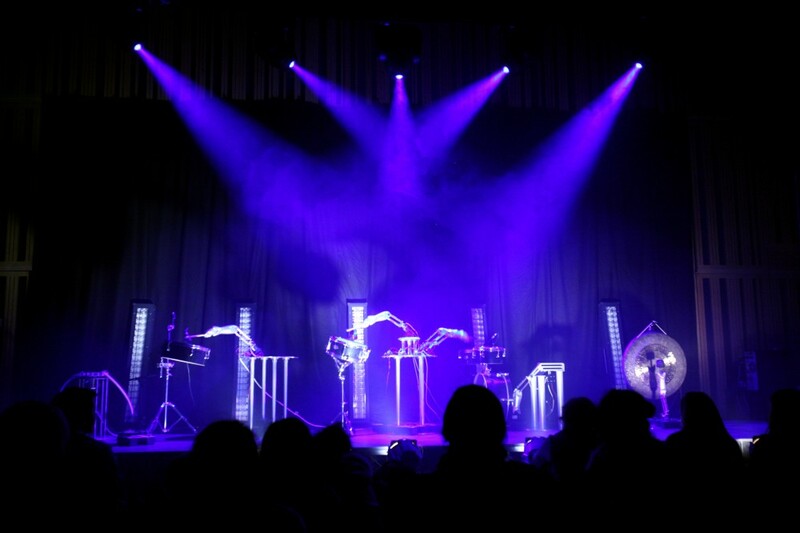 Despite their appearance, the robots’ motion and interplay is lifelike, uncannily mimicking the gestures of a human musician. 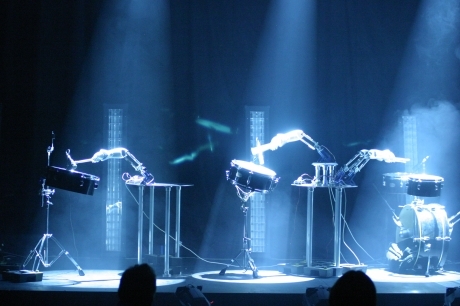 RoboticMusic poses intriguing questions: In our technologised world, can we reproduce the complicated performance act, which is based on the extensive training of the musician? Can we even exceed the capabilities of a human player? 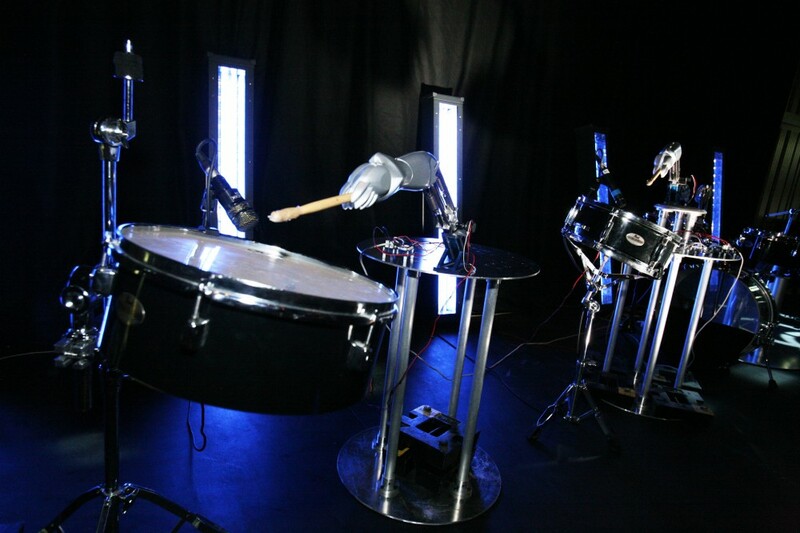 RoboticMusic was open from 11am on Sat 4 March and Sun 5 March with performances at intervals throughout the day. 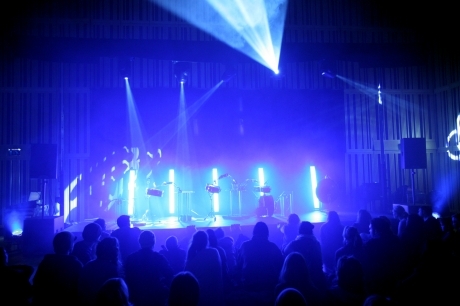 Goto is a pioneer of instrument-making, avant-garde composition and multimedia performance. He has made performances around the world at major locations such as at the ICC, Tokyo, Pompidou Centre, Paris and Sonar, Spain. In 2000 his orchestral composition Resonance II was premiered by the Tokyo Symphony Orchestra. He has received numerous prizes and fellowships, including the Boston Symphony Orchestra Fellowship, the Koussevitzky Prize from the Tanglewood Music Center, and the first prize at the Marzena International Composition Competition. Curated and produced by AV Festival 06. UK Premiere.